Should you wish to discuss this vacancy, please contact our HR Manager on 01249 650693 or to apply, download an application pack below. Hardenhuish School is an 11-18 co-educational comprehensive school set in the magnificent parkland of the former Hardenhuish Manor and Chippenham Grammar School. 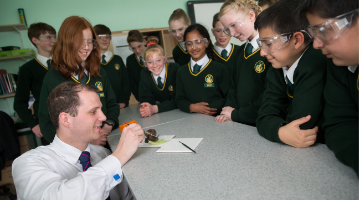 We enjoy an outstanding reputation locally and nationally as a ‘High Performing Academy’. Exam results are consistently above the national average. 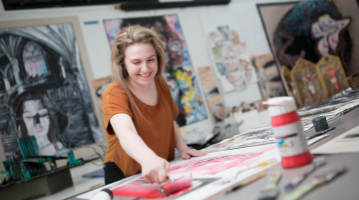 At Hardenhuish we put children at the centre of all we do: we believe in a three-way partnership with school, home and the individual, ensuring that each and every young person is ‘inspired to learn, supported to succeed’. This is an exciting opportunity for a colleague with the enthusiasm, vision and drive to further develop MFL here at Hardenhuish School. We are looking to appoint a highly motivated, inspirational leader and outstanding classroom practitioner. The successful candidate will teach across the full range of key stages and oversee curriculum development and our extra-curricular programme. You would be working in our well-equipped dedicated classrooms with regular access to ICT suites in addition to a departmental set of iPads to bring technology in to the classroom. Hardenhuish provides a supportive environment, where every member of staff is helped to be the very best they can be. The successful candidate will have the advantage of outstanding CPD provision, regular staff-wellbeing events and access to a generous benefit package through Wiltshire Rewards. If you experience difficulties downloading an application pack, or any other supporting documents, please contact the school on 01249 650693 or e-mail hr@hardenhuish.wilts.sch.uk and a pack will be sent to you in the post or by email. Within your communication please state which post you are interested in applying for. Completed documents such as application forms and/or accompanying letters can be sent electronically to our HR department via hr@hardenhuish.wilts.sch.uk.